Columbia will welcome four esteemed professional musicians to workshop, record, and perform with students as part of the 2017-18 Artists-in-Residence program. The artists hail from distinct genres and musical backgrounds, but share a passion for collaboration and mentorship. 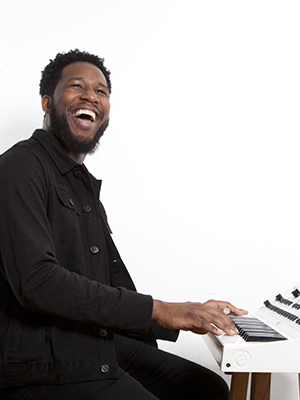 Cory Henry will return to Columbia for a five-day residency and electrifying live concert with Columbia’s top ensembles. As leader of the Funk Apostles, Henry has toured all over the world, from his home turf in Brooklyn to California, Japan, France, Norway, Italy and even a boat in the middle of the Caribbean Sea. He built a passionate following of musicians through his Grammy Award-winning work with instrumental group Snarky Puppy, and garnered millions of views on YouTube of his mind-bending performances on the Hammond organ. He’s worked with an array of musical legends across genres, including Yolanda Adams, Sara Bareilles, P. Diddy, Bruce Springsteen, and The Roots. Henry will collaborate with Columbia’s ensembles, workshopping and rehearsing to prepare for a high-energy one-night-only performance. He’ll go into the studio to produce an original composition by a student ensemble, and will serve as band leader as he pushes students to take their work to the next level. Residency Concerts: March 15-17, 8 and 10 p.m. and March 18, 4 and 8 p.m. at the Jazz Showcase, 806 S. Plymouth Ct.
Russell Gunn is a Grammy-nominated musician and composer whose progressive music pays tribute to and blends genres like American hip-hop, jazz, African drums, Dub Step and EDM. Born in Chicago, and raised in East Saint Louis, Gunn will bring rich professional insight to Columbia’s students. 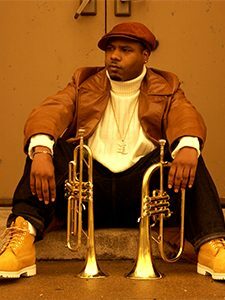 He has worked with artists including Wynton Marsalis, Jimmy Heath, Roy Hargrove, James Moody, and R&B hitmaker Maxwell. Gunn explores emotional improvisation and complex melodies in a broad catalog, which he’ll share with Columbia’s Jazz Ensemble, Fusion Ensemble, and ChicagoVox in workshops and on-stage during a four-night residency at the Jazz Showcase. Cassandra O’Neal is an American keyboardist, musical director, singer, composer, and producer. 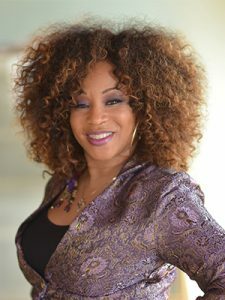 Over her prolific career, O’Neal has blended the spirit of gospel, the precision of jazz, and the energy of pop music in her work with artists such as Pink, LeAnn Rimes, BabyFace, and Chante Moore. As a music director, she has led world-class touring bands for artists such as Prince, Macy Gray, Mary J. Blige, and Jay-Z. O’Neal will spend time with Columbia’s R&B, Pop, and Fusion Ensembles, as well as the Gospel Choir. A highlight of the week will be a recording session with the Recording and Performance Ensemble, in which they’ll develop, workshop, and record an original song. Students will learn what it takes to make a career out of supporting other artists from a go-to leader in the industry. 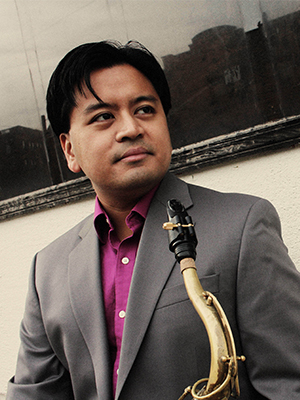 Jon Irabagon is an award-winning experimental saxophonist. He has been a member in high-profile ensembles including the Mary Halvorson Quintet, the Dave Douglas Quintet, and Barry Altschul’s 3Dom Factor. Well-known in the New York City jazz scene, Irabagon is a sought-after studio player and was named one of Time Out New York’s 25 New York City Jazz Icons. Irabagon will work with Columbia’s Jazz, Jazz Fusion, and ChicagoVox Ensembles, which will culminate in a four-night residency at the Jazz Showcase. Irabagon will share secrets from his entrepreneurial career, in which he has become a versatile player who crosses genres and pushes jazz to new territories.